Every once in a while, DSTA members are given the opportunity to go behind the scenes of a local business that is doing some pretty unique things. Our October meeting was no exception. 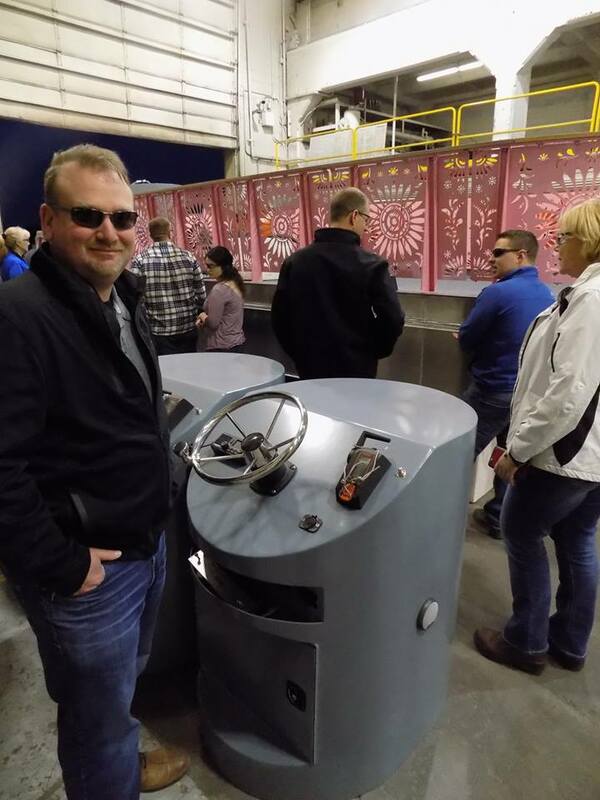 Dave Steininger and Nick Hickey led 25 DSTA members on a tour of Fraser Shipyards and its sister company, Lake Assault Boats. 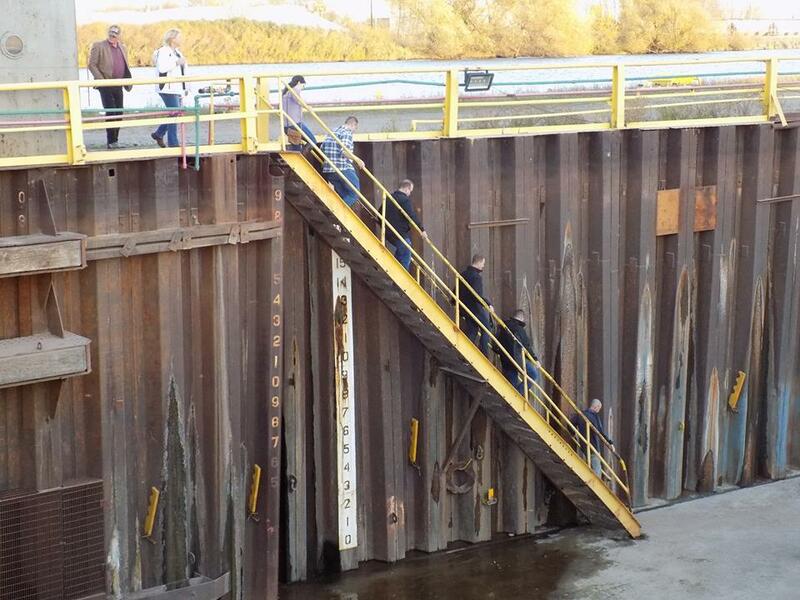 Members were taken to the bottom of Fraser’s 831’-foot-long dry dock, where we learned about Fraser’s mission of reconditioning the ships of the Great Lakes. 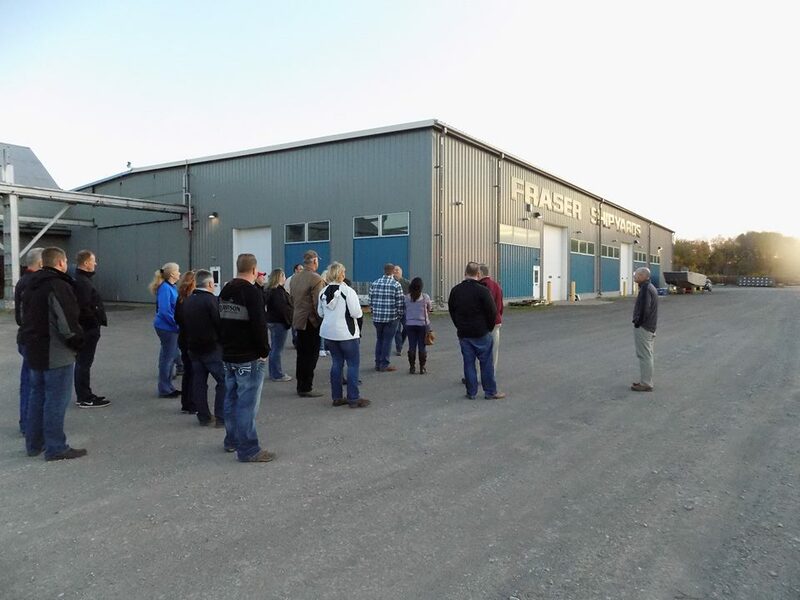 We then were brought into Fraser’s production facility, where steel and aluminum are cut and formed into the parts that are used to repair the ships and to build boats at Lake Assault. From there, we toured two of Lake Assault’s manufacturing facilities. 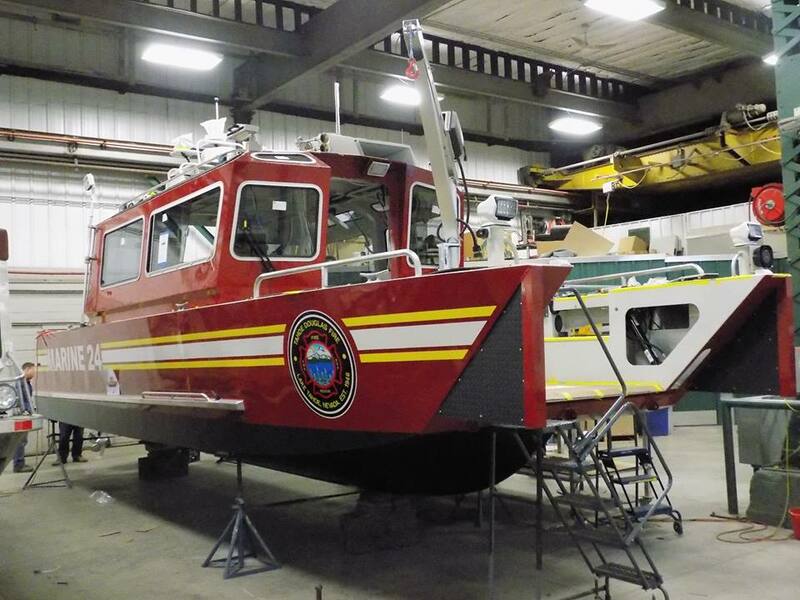 The first building is used for the assembly of large, powerful watercraft that are made-to-order for various municipalities and other entities for fire protection, search and rescue, and terrorism prevention. The second building is currently being used to manufacture river tourism barges for the City of San Antonio’s Riverwalk. These bright and colorful boats, powered by electric motors, are going to be a visible staple of San Antonio tourism for years to come. 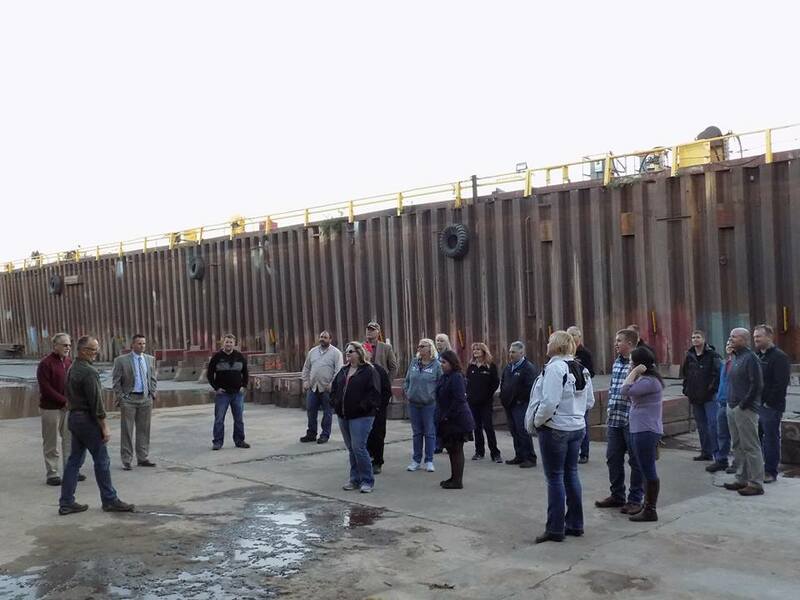 It was exciting for members to see what is quietly being built in our own backyard for use across the world. Afterwards, the DSTA hosted a brief “after party” at VIP Pizza.